Reneeta Mogan. Reneeta recently completed her PhD candidate in cross-cultural psychology at Victoria University of Wellington. Her research interests are rituals and culture, prosocial behaviour, group dynamics and industrial-organisational psychology. Her thesis investigated how rituals affect people socially and cognitively. Specifically, Reneeta used different methodologies to examine how synchronous movements (a specific element of rituals) have positive social outcomes on social cohesion and potentially detrimental negative outcomes on creative thinking. Reneeta is also an intercultural communication trainer and has experience working with several organisations in New Zealand. Hazel Godfrey. Hazel completed her PhD. Ron was her secondary supervisor. People who experience chronic pain (pain lasting more than 6 months) experience trouble thinking. Hazel tested whether a bias in attention underlies some of these cognitive deficits. That is, whether pain experience motivates attention towards signals of pain and threat. Specifically, Hazel used cognitive psychology methods to test if there are different patterns in attention to visual stimuli related to pain and body tissue threat, in people experiencing chronic pain compared to controls. Diana Boer Diana is currently heading the department for social and organizational psychology at the University Koblenz-Landau in Germany. She is also assistant head of the institute of psychology. Her current research topics are culture and environmental influences, values, prosocial behaviour, music, leadership behaviour and health, and culture comparative analyses. Katja Hanke Katja is a German-Korean who has studied psychology at Georg-August-University in Göttingen, Germany. 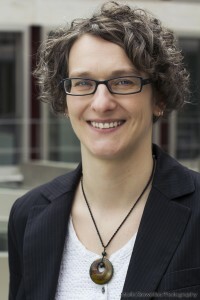 After finishing her graduate studies in Germany, she pursued a PhD in cross-cultural psychology from 2006 to 2009 and was awarded her PhD from the Victoria University of Wellington, School of Psychology, Centre for Applied Cross-Cultural Research in New Zealand in 2010. Before she returned to Europe in 2011, she went to National Tsing-Hua University, Hsinchu, Taiwan for a postdoctoral research fellow position (2010-2011). After completing her postdoctoral research position in Taiwan, she was awarded a postdoctoral scholarship by the Bremen International Graduate School of Social Sciences (BIGSSS) at Jacobs University Bremen in Germany (2011-2013). From 2013 to 2016 she was a Marie Curie Fellow under the Marie Curie Career Integration Grant (CIG) scheme. She then held the position of university lecturer for cross-cultural psychology and its methods at Jacobs University Bremen (2013-2016). She still is a scientific fellow at Jacobs University Bremen. Since April 2016 she is a senior researcher and project consultant at GESIS – Leibniz-Institute for the Social Sciences. Melanie Vauclair Melanie is a social psychologist at the University ISCTE-IUL in Lisbon, Portugal, and works at the Centre for Research and Social Intervention (CIS-IUL) as a Research Fellow. Her current research interest is in culture and her current research looks at ageism and age stereotyping across different nations. Melanie received my PhD in Cross-cultural Psychology from Victoria University of Wellington, New Zealand, in 2011. In her thesis, she researched morality in the form of moral values and attitudes across cultures. She is also very interested in issues of acculturation and intercultural trainings. She obtained her Master degree in Social Psychology from the University of Regensburg, Germany, which resulted in the publication of an intercultural training. Sammyh Khan Sammyh is currently a lecturer at Keele University. He holds a PhD from the Centre of Applied Cross Cultural Research (CACR) at Victoria University of Wellington, New Zealand (2011), where he also completed a BA and BSc (Hons). Between completing his PhD and joining Keele University, he held research fellowships at the University of Dundee, the University of St Andrews, and the University of Exeter. He is a Chartered Psychologist (CPsychol) with the British Psychological Society (BPS) and Fellow of the Higher Education Academy (FHEA). He is a member of the executive committee of the Asian Association of Social Psychology (AASP), the editorial board of the Journal of Social and Political Psychology (JSPP), and serves as an associate editor for the British Journal of Social Psychology (BJSP). Vivian Lun Vivian obtained her Ph.D. from the School of Psychology and the Centre for Applied Cross-Cultural Research at Victoria University of Wellington, New Zealand. She joined Lingnan University in August 2011. Her research interest includes cross-cultural psychology, social psychology and education, with particular interests in topics such as social relationship and cognitive skills and styles. Paul Reddish Paul completed his Ph.D. thesis in 2012 under the supervision of Dr Ronald Fischer and Dr Joseph Bulbulia. He investigated the social effects of synchronised behaviour as found in music and dance. After his Ph.D. he worked as a post-doctoral fellow at the Laboratory for the Experimental Research of Religion in Brno, Czech Republic. Currently he is teaching and conducting research in the psychology of religion at the National University of Singapore.